Hey, what happened, did you remember your bad experience choosing wrong content writer for your business? So why now again? It’s not a joke, really feel that you need to get rid of crape and getting quality content writers talent pool to achieve sustainable business growth? If it is then this article is for you so tie your belt firmly because it’s a drive to your long term business success. Mm, right it’s contentmart, a specialized and well-designed marketplace of highly professional content writers with diversified portfolio and work experience. You can find writers in specialized skillset depending upon nature of projects not like one which is jack of all trade and master of none. It needs separate recognition and contentmart actively ensure it. When you enters into a contract with contentmart writer, contentmart team of dedicated professionals help to ensure you will get quality work from writer having constraints of time, budget and quality which is most important. It’s simple not a hard nut to crack, instead wasting your time in wrong hires and end up with disappointments and frustrations, it’s time to build your recognition in a sounded market place contentment to achieve purpose of sustainable business growth. Content writers register at contentmart and build profiles with portfolio of sounded work experience to present themselves in unique way and engaging more and more bloggers, digital marketers, corporates and ecommerce business. Initially they need to rank high have to pass their English grammar test which indicates writer’s language ability. However you can visit each writer portfolio and build relationship with them for long term collaboration. Retaining writers is another challenge to meet because once they become assets to your business it’s hard to leave them. After registering on contentmart you can place new order or something else showed in picture itself. Below is demo how you can publish project details after selection of post an order, form like below will be appeared to enter project requirements. However it’s most critical part because you are attracting right talent what exactly you are looking for? Is it! After publishing you will be getting bids and you can also view profile of each bidder as showing below. After viewing portfolio of each bidder you can easily find which one is most important to communicate to exactly figure out how you feel a candidate is worth able and may be a right choice of you. Remember, it will be like an interview type session. When you decide to award project first you have to deposit funds via Credit/Debit card, Net banking, Mobikwick or HDFC PayZapp according to project value and after all to preserve financial risks. If you need to get quick access to highly professional content writers, Contentmart is the right place for you. Just you need to learn how to use it in more effective way to nurture best leads for your projects. 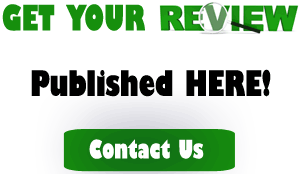 It’s really a great platform to get quality writers in less price. It’s a good new for me as I don’t have enough time to write on my blog. Thanks for sharing about Contentmart.